Below is what I wrote for a contest over on the Geek Mom blog but I did not win anything. It’s hard to keep the story under 1500 characters. So I also expanded on the story and I think you will like what I wrote. 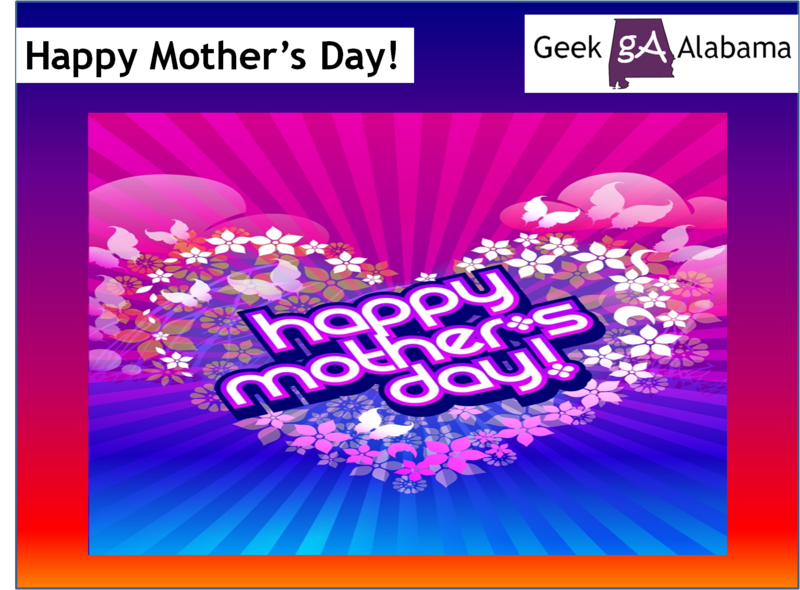 And happy Mother’s Day everyone! My mom has let us do what interests us. And we all love anything that has a geeky tone to it. I love to talk up Star Trek characters while my mom has no clue what I am talking about. If my mom gets stumped on something on the computer she has to call me or my brother to figure it out. Or if my mom has to pick up any leftover Lego parts from my brother; she doesn’t mind. My mom is like a Trekkie without its stun gun when it comes to technology and geeky topics. But I believe she is getting more used to knowing what Dr. Who did on the last episode to which “Star Wars” movie was the best. My mother has gone through too much negative stuff in her life and having me, my brothers, and her new husband by her side comforts her. And it’s getting her more interested in things geeky. You should see her enormous DVD collection of many movie types. And she is getting more comfortable with the computer and doesn’t need our help as much anymore. I believe with each passing day that goes by she is getting more interested in what being a geek and a nerd is all about. The men that surround her every day really like being geeks and nerds. And she really likes to stay in the loop. That means she needs to survive lasting through a “Star Wars” marathon. My mom has gone through several tough moments in her life. And her latest battle is earning a four-year degree and being unemployed. But she has gotten through all of the tough moments in her life with flying colors. If she turned out differently in her life I might be the one looking at how weird that geek obsesses with “Star Trek.” Plus she now likes some of the things us men like to do like watching the latest “Big Bang Theory” episode to debating which geeky action movie is the best. 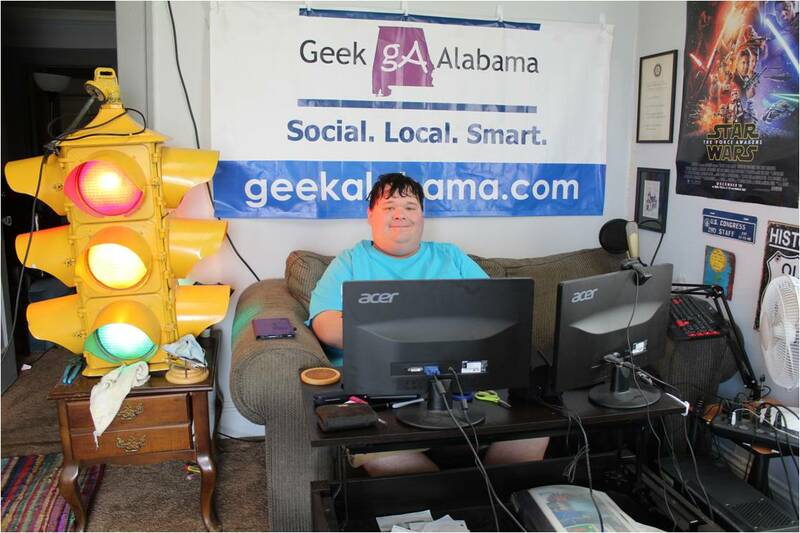 She needs to like more geeky topics since my brother is a huge online gamer fan and I run a geeky blog titled “Geek Alabama.” And all of the men around her are huge animation fans. Us guys love seeing what the next invention “Phineas and Ferb” builds to what Bart in “The Simpsons” does next to embarrass Springfield. I am glad my mom has allowed me and my brothers to be cool geeks and nerds. Being a geek and nerd is nothing to be ashamed about. Who knows; maybe one day I will see my mom in a Star Trek uniform. At least my mom is not that crazy to put herself out there like that mom on the latest Time Magazine cover. Who would do that?